At dawn on March 18, 1910 Harry Houdini made the first powered controlled flight of an aircraft on the continent of Australia. 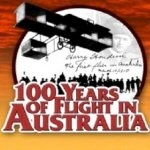 The historic flight occurred 100 year ago today in Diggers Rest near Melbourne. Ironically, Houdini said the world may well forget his feats as an escape artist, but it could never forget that he was the first man to fly a plane in Australia. 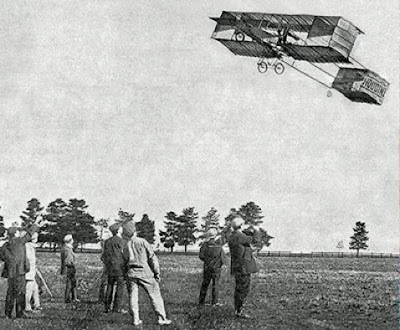 The origins of Houdini’s first flight may have been rooted in world politics. According to The Secret Life of Houdini , Houdini’s Australian tour was encouraged (backed?) by a British friend, Lord Northcliffe, who was eager to alert his county and her allies to the military potential of air power (Japan was already building an air corps). What better way to showcase flight than via the king of showmen, Houdini! Seeing a chance to get in the record books, and receive full pay during his 12 weeks of ocean travel (which would be agony for the seasick prone magician), Houdini accepted the tour, despite telling a Bristol reporter in 1904 that he would never travel to Australia because it would put him too far away from his mother. Houdini performed at Melbourne's Opera House during the days and slept under his plane in the 40-foot hanger tent at nights (once being awakened by a poisonous tiger snake), waiting for the perfect conditions for flight. Less cautious was Ralph Banks, who attempted a flight in rough winds on the morning of March 1st. He crashed. Banks survived with a black eye and torn lips, but his plane was destroyed. Houdini helped Banks pick up what was left of his flyer. Houdini’s name was officially entered into the record books by the Australian Aerial League (formed by George Taylor who shared Lord Northcliffe’s military ambitions). He was even presented with an impressive trophy, which he proudly displayed in his New York home. But some controversy surrounded Houdini’s flight. 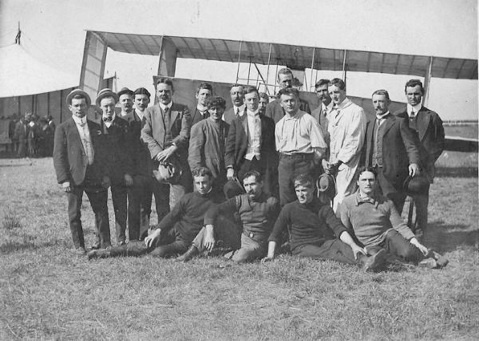 A 19-year-old mechanic from South Australia, Fred Custance, claimed to have beat Houdini with a controlled flight in a Bleriot XI monoplane on March 17, a day before Houdini’s flight, at Bolivar. This may explain why in later publicity material Houdini always recorded his flight as having occurred on March 16, 1910 (a date that stood until the 1980s and still sometimes causes confusion today). But it turns out Houdini didn’t have to worry. According to Houdini expert Patrick Culliton, Custance’s flight was witnessed by only one man, his sponsor Frederick H. Jones, who years later admitted the flight was “mythic” -- they made it up. After his Australia tour (which included several even more spectacular flight exhibitions at Rosenill racetrack near Sydney), Houdini put the Voisin into storage in England. Although he announced he would use it to fly from city to city during his next tour -- and even promised to leap from it handcuffed -- Houdini never flew again. Houdini sold the plane in 1913, but exactly what happened to Houdini’s historic Voisin has long been a mystery [See; Did Houdini’s Voisin land in the hands of Chung Ling Soo?]. 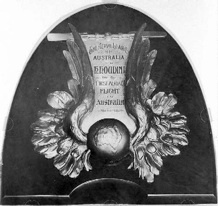 Today Australia takes great pride in its association with Houdini and aviation history. The Perth Mint issued commemorative coins and stamps. 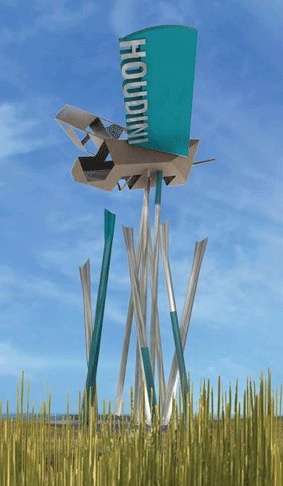 A new monument has been erected at Diggers Rest. And Houdini’s historic flight was celebrated with a special ceremony featuring a Houdini-Centenary air-show, magic performances, a one-third scale model of Houdini’s Voisin. While the world has certainly not forgotten Houdini the escape artist, it now appears Houdini accomplishments as a pioneer aviator will also be remembered. Houdini!!! The Career of Ehrich Weiss by Ken Silverman, pages 142-155. The Secret Life of Houdini by Kalush & Sloman, pages 239-245. Genii Forums - Diggers Rest gears up for Houdini celebrations - post #211243 by houdini’s ghost. It put the place on the map, that's for sure. I had a look in the street directory before and noticed that there is a Houdini Drive in Diggers Rest. I must go and check out the monument sometime as I actually don't live too far from there. I was sorry I couldn't make it to the Centenary celebrations this year. That would have been a blast! Houdini - Man of Magic or Deceit?